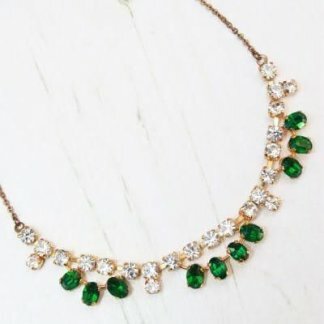 Description: We love this necklace at Queenie’s Bazaar, although not terribly old, it certainly has the perfect vintage look. 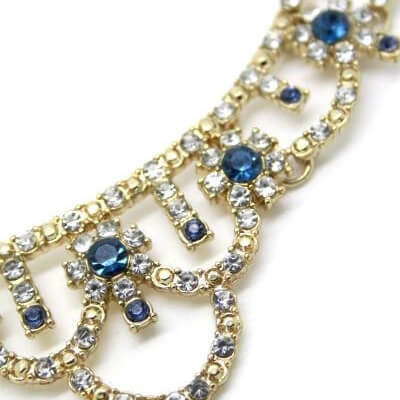 Featuring pretty blue shades of acrylic rhinestones in a soft gold tone setting. 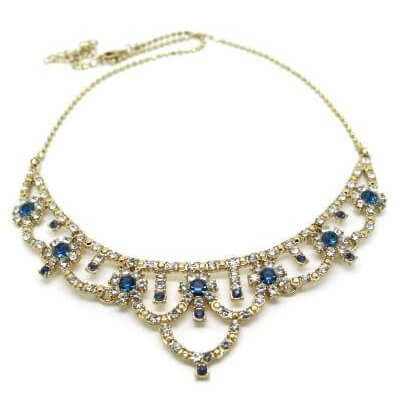 The wonderful bib style of this necklace offers a classic look, ideal for weddings and any special occasion, or any day when you simply feel the need to dress up. Measuring approximately 42cm long with a 9cm adjustable chain. 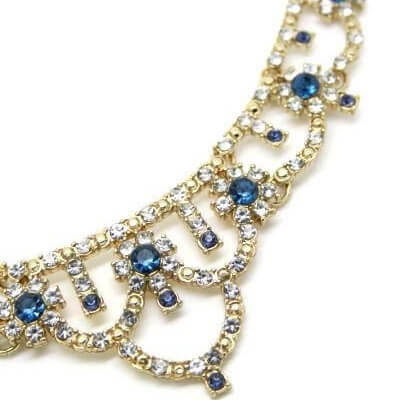 The necklace is in wonderful condition showing slight to no wear, it appears ‘new’ and unworn. 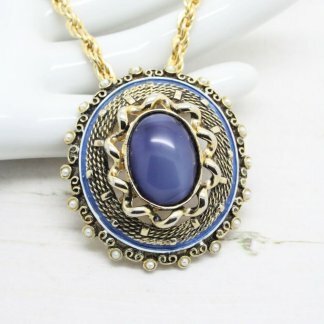 Please Note: This necklace will be sent in a strong heavy duty necklace box. 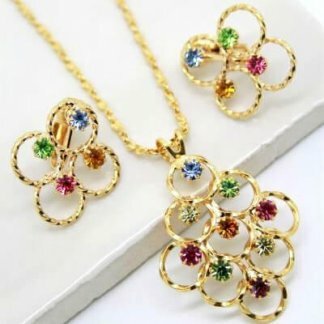 Making it ideal to give as a gift.